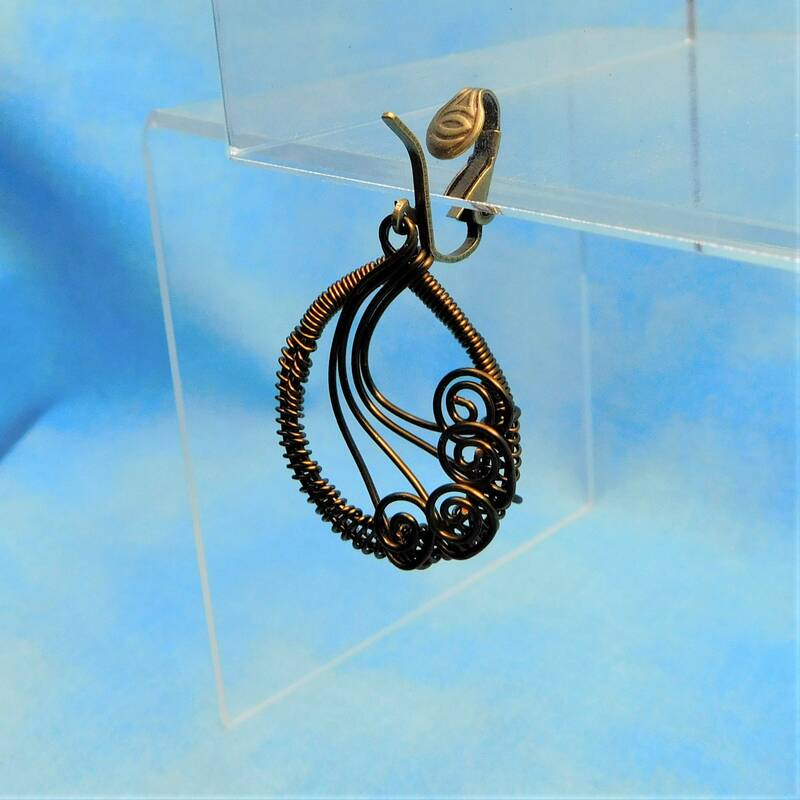 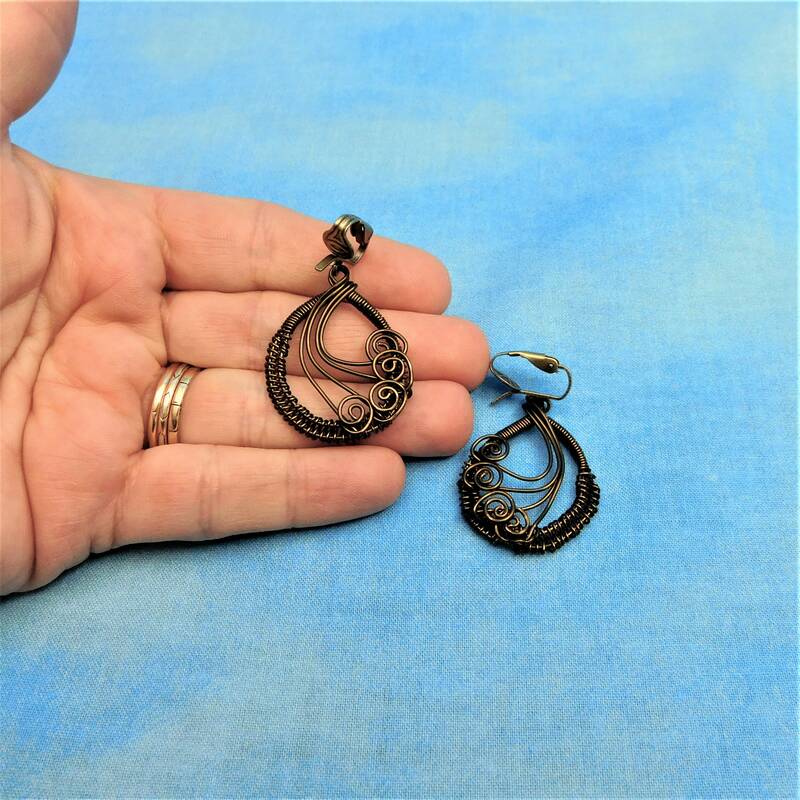 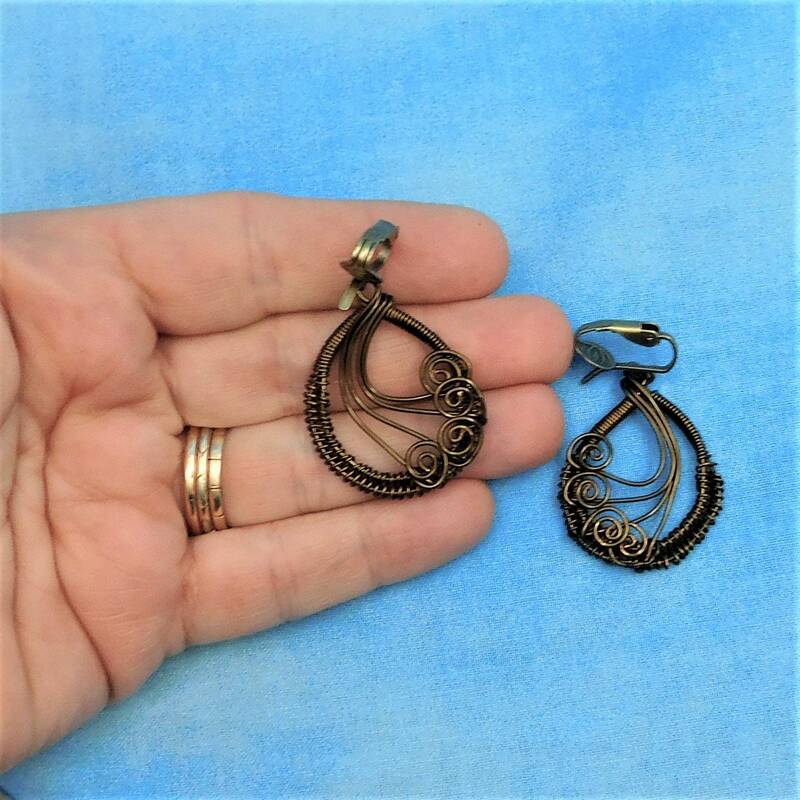 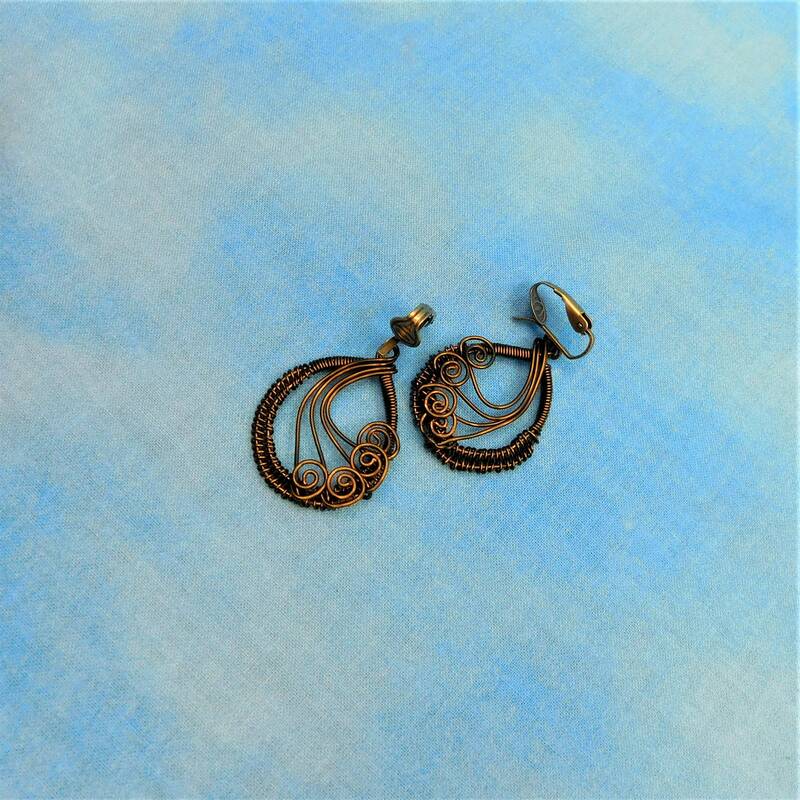 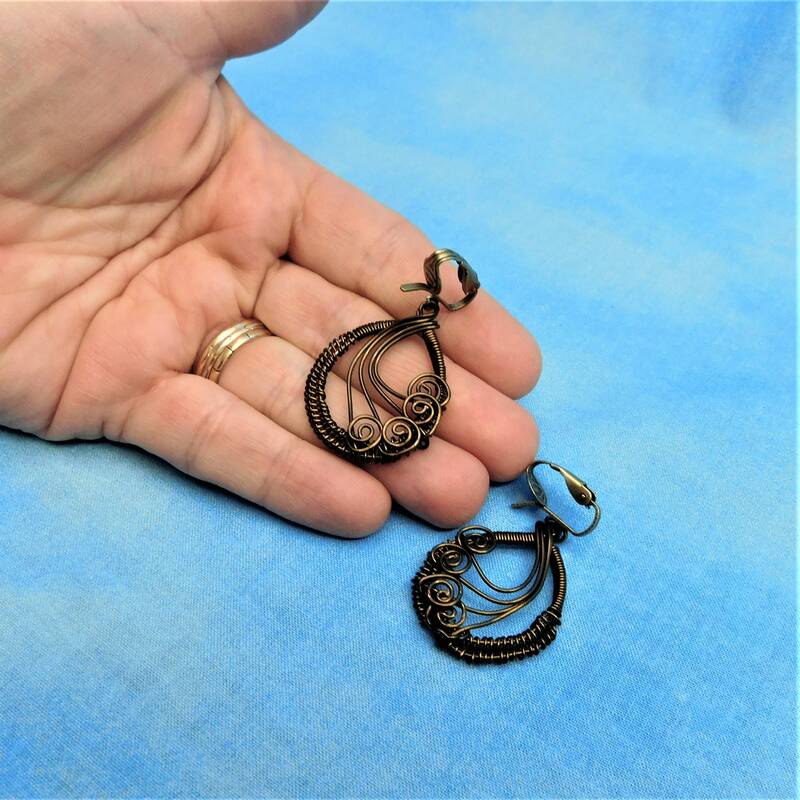 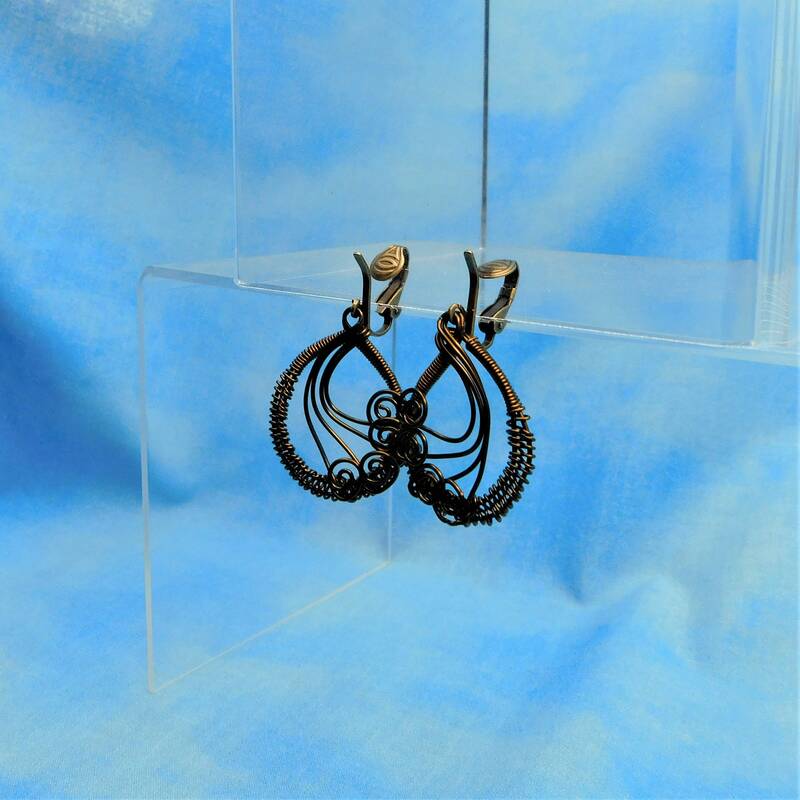 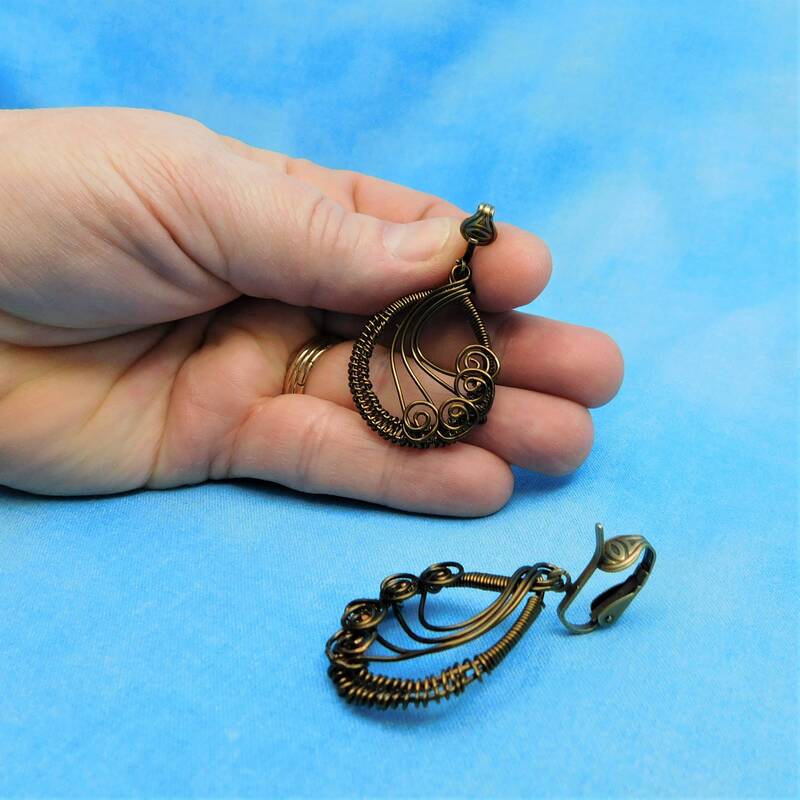 Non tarnish copper colored wire is off-loom hand woven and sculpted into 1 1/4 inch by 1 inch front facing hoop style dangles on pierced look clip on earring clips. 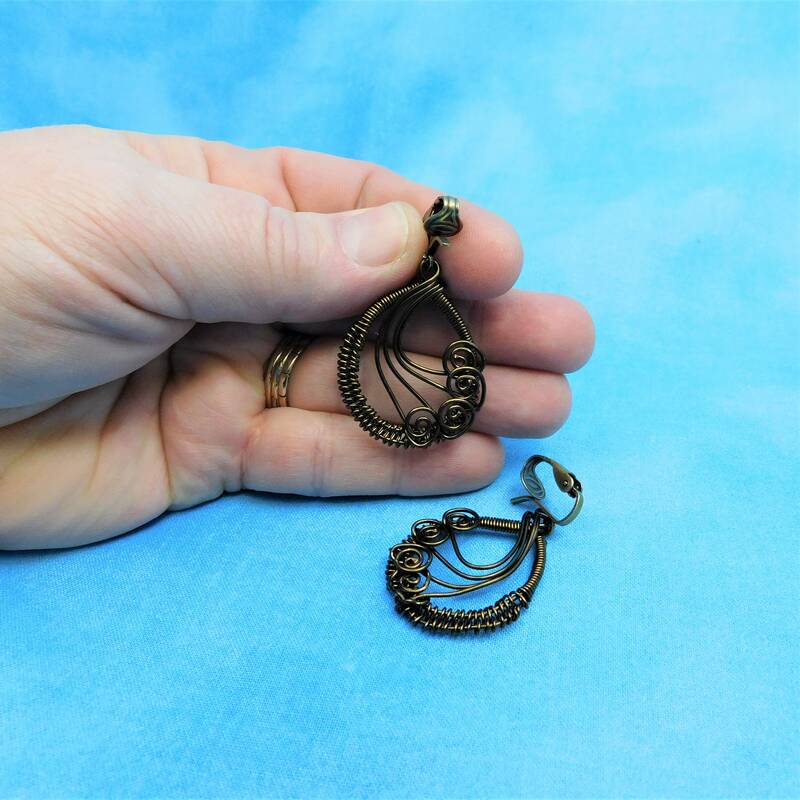 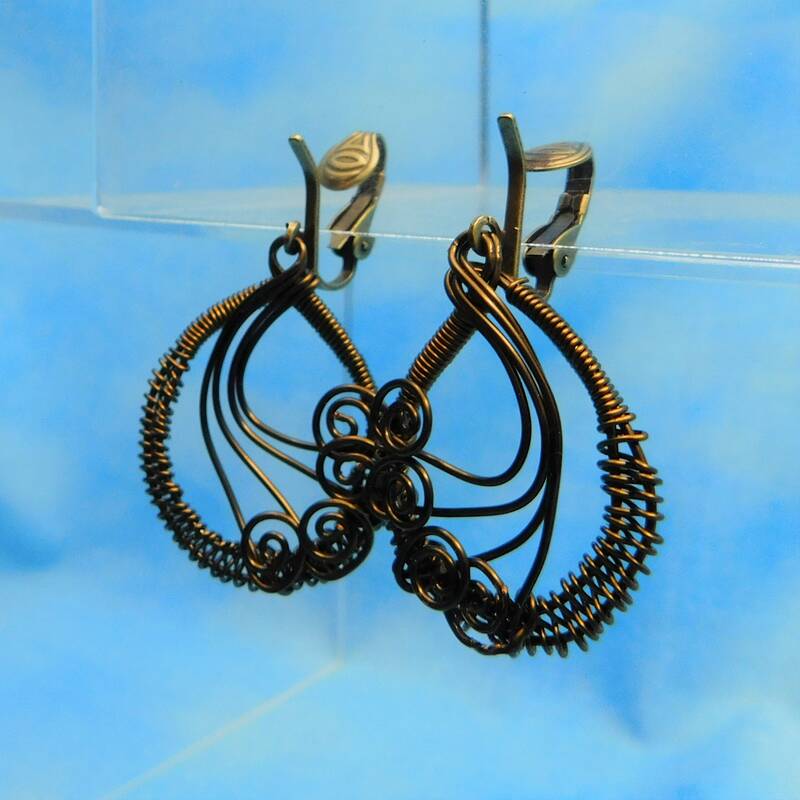 The clips are comfortable and secure, and the hoops are surprisingly lightweight for their size. 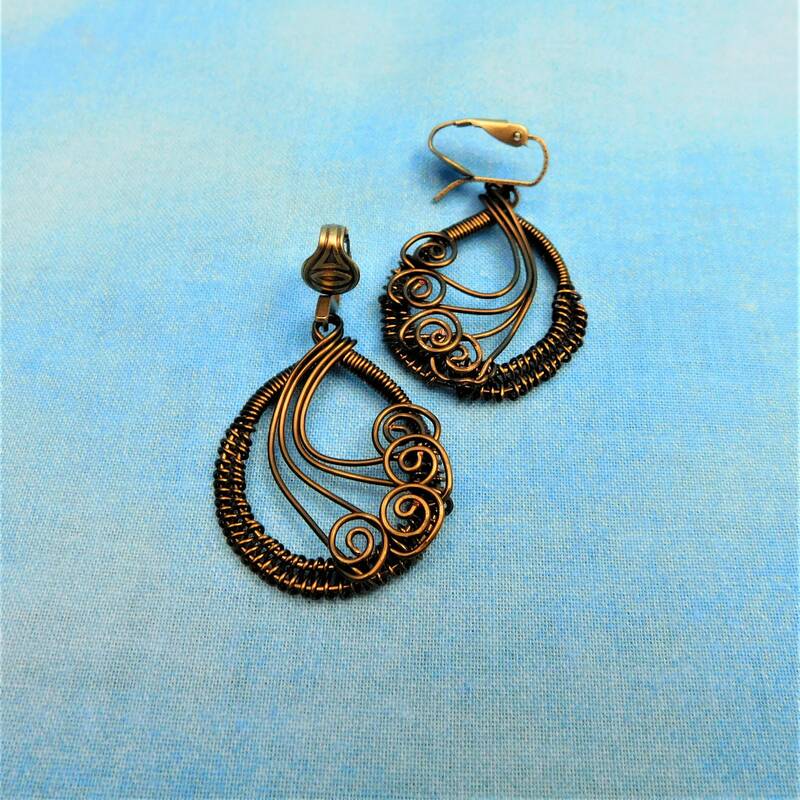 This is the perfect pierced look, without the commitment of piercing the ears.